“Change and Adapt.” Review: Leonard Kreusch Riesling Sekt N.V. I love KC. 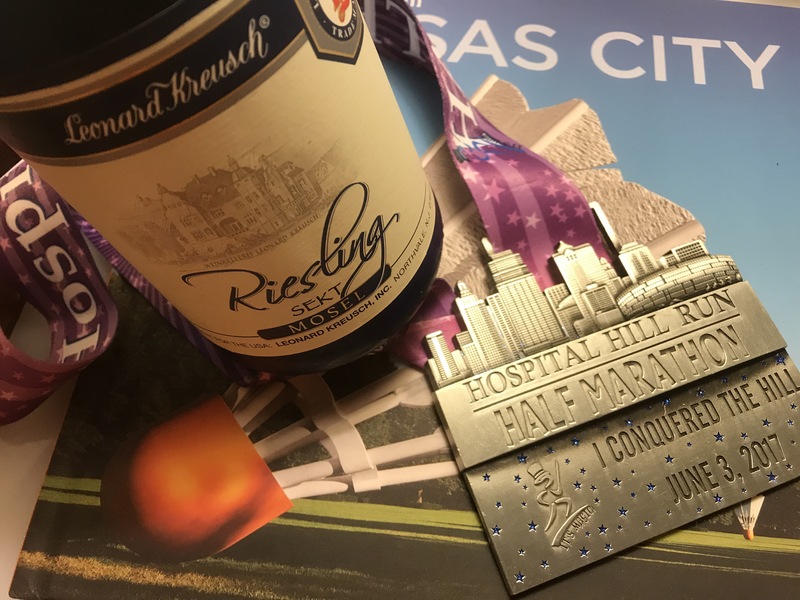 We have vacationed here a lot since getting married, and have thrice run the Hospital Hill half marathon together. Each year, we have also run the UMKC 5K with Titus, who was once carried en utero, and twice more in a stroller, including yesterday. In all, it was a great experience. Already we’re looking forward to next year. But things do change. KC once meant staying out late and closing down jazz clubs. Today it meant prolonged napping, countless diaper changes, debates about how best to transport whom, an afternoon of looking at trains, dinner with great friends, and putting two children to bed by 8 in a hotel room before splitting a bottle of wine. The Riesling Sekt from Leonard Kreusch is really solid. For only around $12/bottle it delivers the beautiful petrol notes of a fine Riesling with some dainty bubbles and beautiful notes of toast and tart apple. It checks all the boxes, and helped us adapt to an early evening in a hotel room a little better than we otherwise might have. This will all get easier. Wine will help.